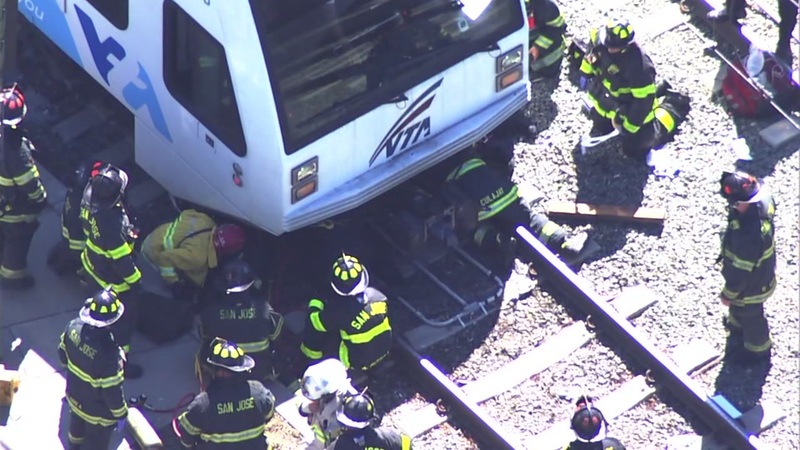 SAN JOSE, Calif. (KGO) -- Crews rescued a person who got trapped under a VTA train after being struck near McKee Road in San Jose this afternoon. The man was taken to a local hospital and it is unclear what condition he is in at this time. VTA trains in that area are shut down in both directions, and McKee Road is also closed at this time. Officials are encouraging drivers to avoid the area.